Made of Durethene® high density polyethylene. 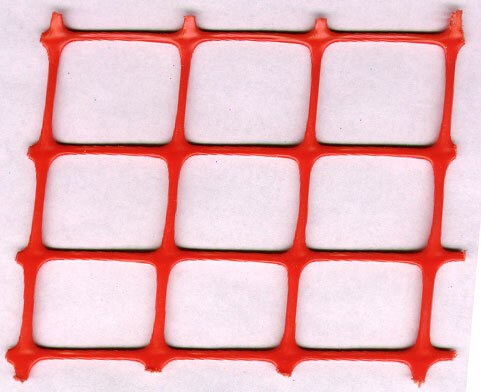 Its square mesh offers an alternative to the diamond pattern. In addition to 2.54cm x 2.54cm, (1" x 1") square mesh safety fence, an economical 2.54cm x 5.08cm, (1" x 2") mesh fence is also available. Both come in international orange and are available in standard rolls of 1.22m wide x 15.24m long, (4' x 50') and 1.22m x 30.48m, (4' x 100'). Roll weights vary from (10lbs) to (26lbs). Used to restrict access and mark boundaries at recreation areas, landfills, construction sites, and other work areas.